If you find yourself writing the same old comments time and time again when you are marking, then invest in a self-inking customised stamp. At PTS we want you to save time and money by marking your pupils' work with our range of School Stampers, which can be personalised with your own wording and images for your classroom. Our stampers all come pre inked and can be refilled. 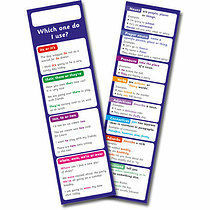 So cut your marking time in half today with our Personalised Teacher Stamps including Stack n Stamp, or Twist n Stamp. Customised Stampers normally start from just £8.75 (ex VAT). Suitable for both Primary and Secondary Teachers. For TWIST 'N' STAMP stampers below, you need to order three stamps and you will receive a casing for FREE.